You are here: Home / Classic Cars / Is The Collector Car Of Your Dreams Out Of Reach Now? Collector car prices have increased significantly over the past few years and maybe the object of your desire is out of reach now – unless you were lucky enough to acquire it before the price increases. Unfortunately many of us did not. But take heart there are “affordable” alternatives to every unaffordable collector car. Here are a few that I think could fill the void for you, maybe. I selected four great collector cars that most people are attracted to (Lamborghini Miura, Ferrari 275 GTB, AC Shelby Cobra and Mercedes Benz 300SL). I then chose cars that I think could deliver a similar appeal such as looks and driving experience to each of these four. You be the judge and share you thoughts in the Comments. The prices quoted are from the latest Hagerty Price Guide for a condition 2 car. Widely considered one of the most beautiful car styles ever the Lamborghini Miura is a mid-engine V12 super car. It may not be the most comfortable car to drive but it sure is easy on the eyes. Current values have a wide range depending on the model from the P400 at $796,000 USD to the P400 SV at $1,700,000 USD. De Tomaso Mangusta – $215,000 USD to $235,000 USD depending on if it is US or European specification. De Tomaso Pantera – $85,600 USD to $120,000 USD depending on the model. Maserati Bora – $130,000 USD to $141,000 USD depending on the year. One of the great front engined Ferrari V12s, the 275 GTB is widely considered one of the most beautiful designs to come out of Pininfarina, or any other design house. The value for the base 1964 model is $2,350,000 USD. Other models depending on features such as four cam and steel or alloy body are much more expensive. Iso Grifo – $401,000 USD to $450,000 USD depending on the model (small block or big block engine) – Targas are a little more. Ferrari GTB/4 Daytona – $730,000 USD for a coupe to $2,650,000 USD for a late model real Spider. Maserati Ghibli – $245,000 USD for a coupe to $806,000 USD for the SS Spyder. The most copied car ever – the AC Shelby Cobra was a milestone in car history. The combination of a powerful Ford V8 engine and the beautiful AC Ace body and functional chassis (with some modifications) were unstoppable. Today most of the Cobras you see on the road and at car shows are replicas. Some of the replicas are excellent cars but they are still replicas. AC also made the Cobra for the UK and European market without the Shelby brand. The values range from $869,000 USD for the Shelby Cobra 260 to $1,300,000 USD for the Shelby Cobra 427. Jensen Interceptor – $36,700 USD for a coupe to $79,600 USD for a convertible. Intermeccanica Italia – $67,300 USD for a coupe to $136,000 USD for a convertible. AC Cobra Mk IV – $104,000. With either the unique gullwing doors or without a top the Mercedes 300SL has become one of the most desirable collector cars in the world. They are not exactly rare in collector car terms. Every concours and auction of any standing will have at least one in attendance. Yet, they are loved and most collectors either have one or they want one. The values range from $1,300,000 USD to $1,850,000 USD depending on the year and model (Roadster or Gullwing). The aluminum Gullwing is valued at a whopping $6,000,000 USD. 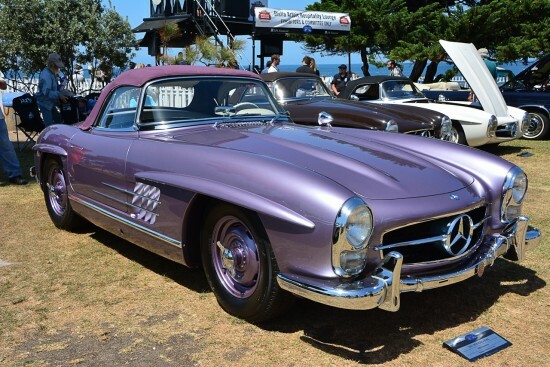 Mercedes Benz 190SL – $201,000 USD. Jaguar XK150 – $60,800 for a coupe to $344,000 USD for the S 3.8L Drop-Head Coupe. 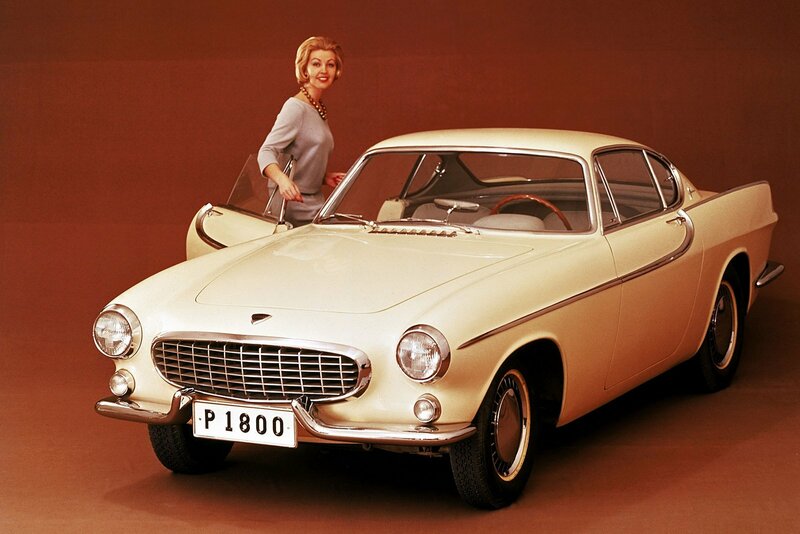 Volvo 1800 Coupe – $18,600 USD to $19,400 USD depending on the year. There are certainly many other alternatives that I did not mention and some of you may find my alternatives to be unsatisfying. That is what the Comment section is for. Here are a few alternatives to unaffordable collector cars that you may consider. Fred, They were crazy with that price in the ’60s! To my eyes, the Bizzarinis behind the Miura are even more beautiful. However, having sat in one, the ingress, egress and driving position were torture. Sadly, I missed the boat and your suggested alternatives are still too expensive for me. Might I suggest the Merak, which handles better than a Bora or the very underrated Urraco. My dream car is the 275GTB. Always well out of reach, short of a lottery jackpot win. I have been fortunate to enjoy a passenger ride in one, which only served to reinforced my desire for ownership. The obvious alternative is a 550 Maranello. Perhaps I should have bought one of those a couple of years ago – too late now as values have doubled or trebled. You have good taste in cars – that silver Bizzarrini was mine for many years and in these photos we are in the winners circle at The Quail in 2013. This silver Bizzarrini is still the header for the My Car Quest page. I almost added the Merak to the Miura alternative list and the 550 Maranello is a great choice, although modern. I drove one as my daily driver for one year and loved it. Yep, a Tiger would fit in the list as a Cobra alternative but I can never quite love the shape.